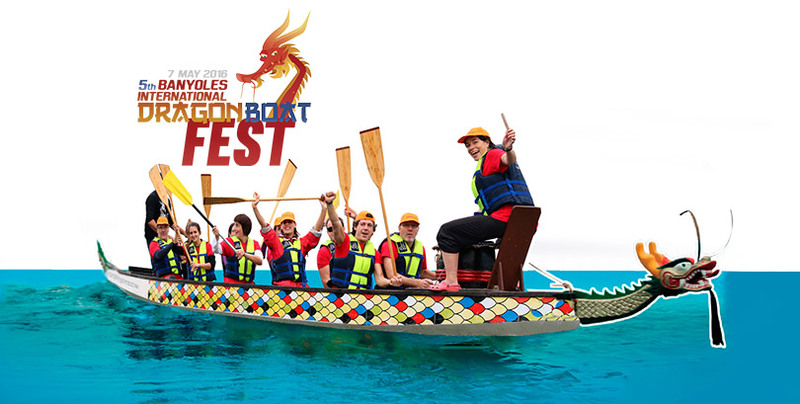 Additionally, the 1st Interuniversitary Dragon Boat Meeting and the 1st Dragon Boat Corporate Meeting will take place. The 7th of May has been decided to be the date for the celebration of the 5th International Dragon Boat Festival of Banyoles. This year, it will also host the 1st Interuniversitary Dragon Boat Meeting and the 1st meeting of corporate teams. The practise of Dragon Boat is gaining popularity around the world. The reason for this is that – although it is a competitive sports discipline – the basic techniques are very easy to learn, which makes it ideal for everybody. Any group can have a great time competing even having done only a short initiation session. Category 1: High-level federative teams. Within the Festival, there will also be an Instagram photo contest. You only have to upload your photograph related to the Festival during the event with the tag #DBEmotions or #DragonBoatBanyoles, and you can win lots of prizes and discounts. This festival is organised by the Banyoles Swimming Club, Dragon Boat Emotions and Agenda Sports&Elements. The goal is to announce and promote an activity which, apart from being a very healthy sports discipline, is a great resource for companies in order to boost motivation and team work, and a leisure activity which people around the globe are passionate about.